Mark Zuckerberg, the chief executive of Facebook says that he is not thinking much about taking internet social networking company public, also defending the changes new changes in the service that have lead to privacy concerns. Facebook, world’s largest social networking site last week provided its half-billion users with better safety system to their accounts and control to the data that they would want to share with other people. He also gave a statement regarding what made the Facebook an innovative company, he said that Facebook provides its users with new and better features such as “Instant Personalization” through which users personal data automatically gets shared with the sites like Pandora and Yelp. He certainly believes the easiest way to progress is to keep on making new changes almost every day. He even made a comment regarding the controversies by saying that Facebook would continue doing what they believe in and keep on bringing advancement and changes to their site no matter how controversial they are. A California based The Palo-Alto, is challenging more established companies like yahoo inc and Google Inc, for consumers more online time to earn dollars, by trying to maintain a balance for users between protecting privacy and also promoting social sharing. Zuckerberg who is 26 year-old, who founded Facebook in the year 2004, he also said that he’s not the one who thinks about going public much. He has no time fixed in mind for potential IPO. Facebook is backed by many companies, Digital Sky Technologies, Microsoft Corp, Hong Kong tycoon ‘Li Ka Shing’ and Accel Partners, Greylock Partners and Marytech Capital Partners which are the venture capital firms. As the company does not reveal its financial data, the company’s 2009 revenue range is estimated to be $500 million dollars to $650 million dollars, which is primarily from the ADS which is targeted from Facebook users profile information. 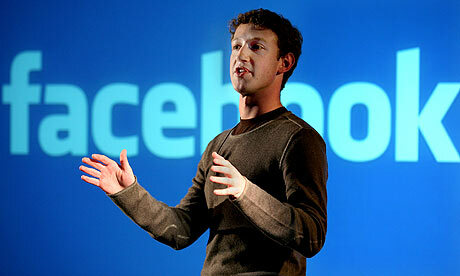 He also reported media that the Facebook’s advertising rosters have increased 4 times in past few years. Zuckerberg in his 50 minutes Interview, he dismissed many previous reports on developing tech blogs, an email-based service to compete with yahoo and Google Gmail, to which he replies that they are not building a Webmail competitor whereas they surely are working on a number of things. He also seemed interested in the 160-character text message that is a mobile phone craze, also known as short-form messaging technology. Facebook’s many social “plug-ins” are on more than 2, 00,000 sites which allow Facebook users to click on buttons on the web just to show is they “Liked” a particular story on a webpage. At last he concluded that he does not know whether they do is always right or not about some of the features of the sites that have been in controversy but few years later from now we would just be thinking that all the websites and applications should have been personalized.